Autumn is here and I’m nowhere near ready to give up my summer tan. 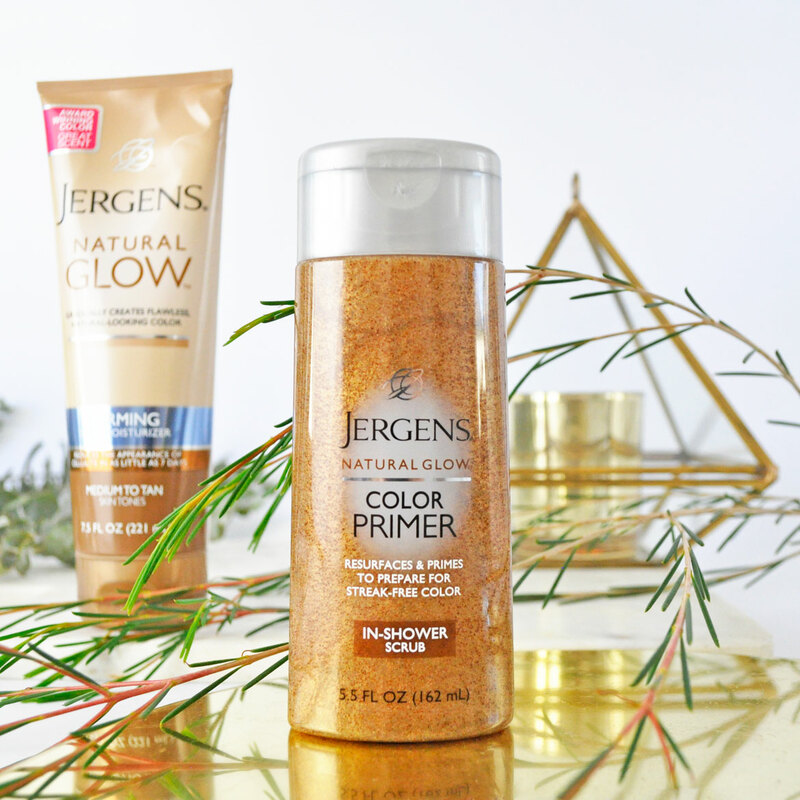 Lately I have been loving using Jergens Natural Glow Color Primer and + Firming Daily Moisturiser. 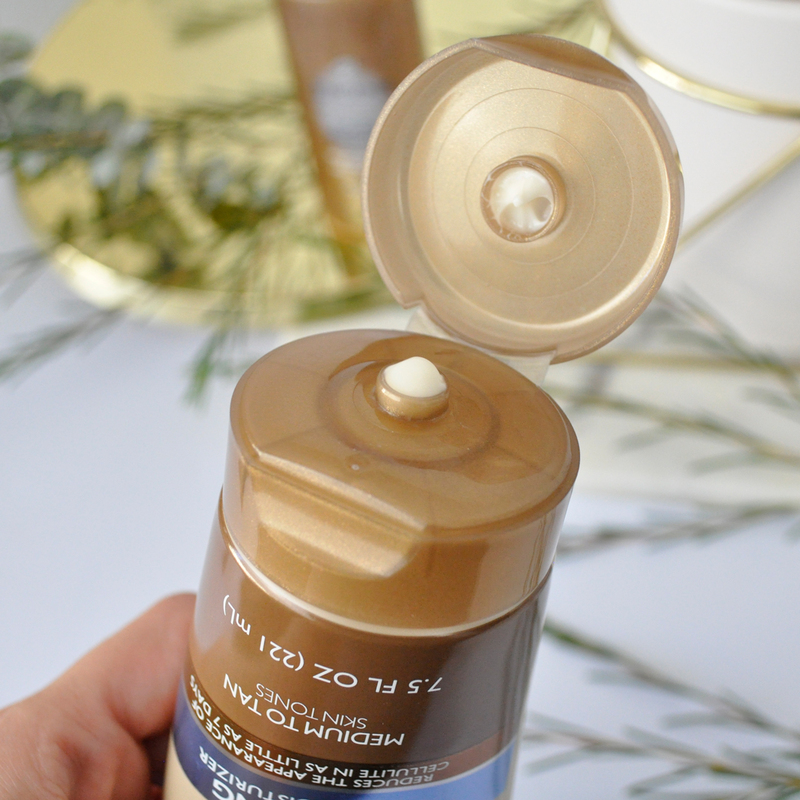 Here is how I achieve the perfect sunkissed glow. Step 1: I begin with prepping my skin once a week by exfoliating with Jergens Color Primer in-shower scrub prior to applying the gradual tanning moisturiser. It prevents dark patches and improves skin tone and texture for polished streak-free results. 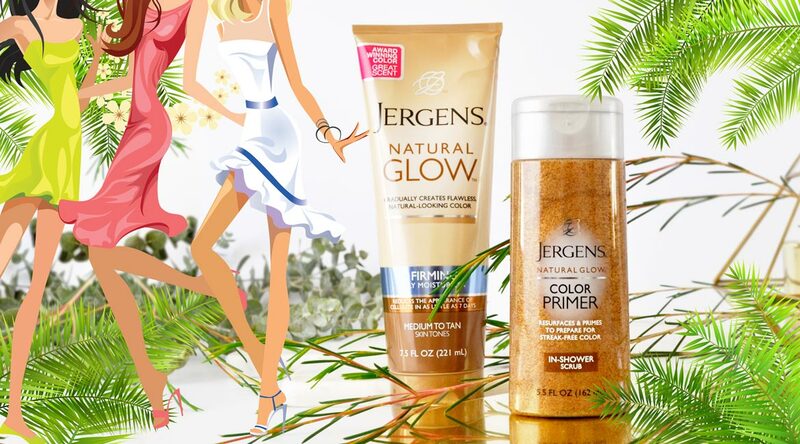 Jergens Natural Glow Color Primer is enriched with a blend of antioxidants and Vitamin E to keep skin fresh, nourished and incredibly smooth! 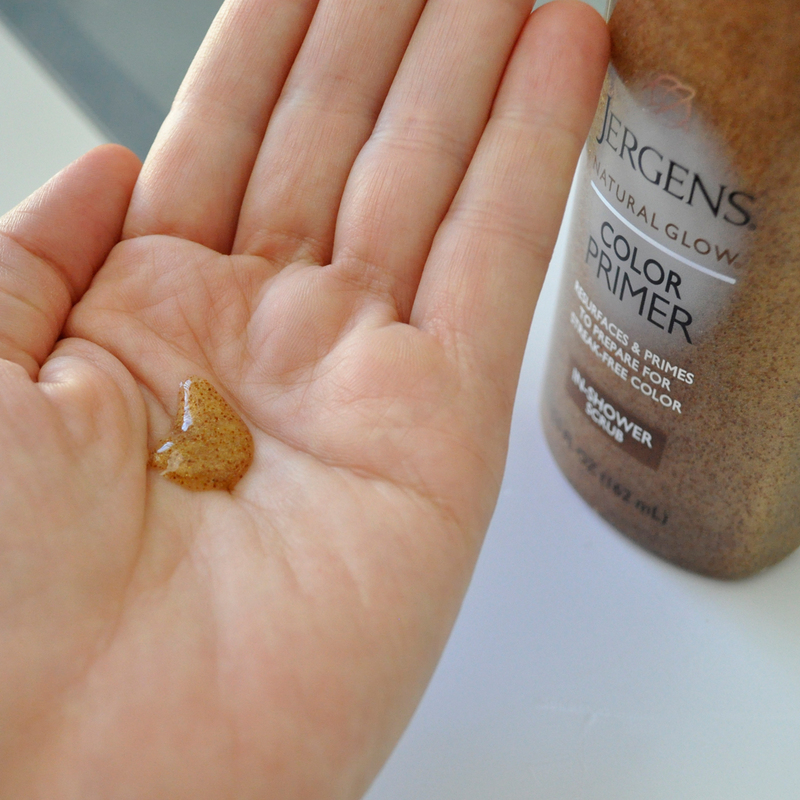 Step 2: I slather Jergens + Firming Daily Moisturiser all over my body to create a gradual bronzed glow. This lotion has little to no odour and absorbs quickly into the skin, drying fairly quickly. After 3 days it has blurred my body’s imperfections and left my skin with a glorious natural-looking summer glow. Available in two shades: Fair/Medium and Medium/Tan. 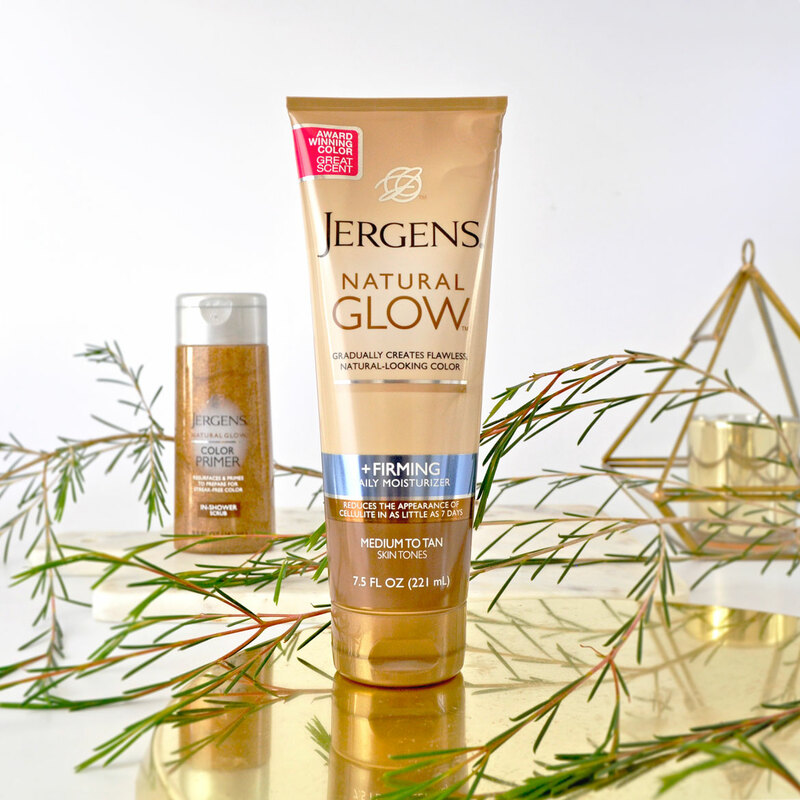 Fun fact: Jergens Natural Glow + Firming Daily Moisturiser has been clinically proven to reduce the appearance of cellulite in as little as 7 days! Top Tips: Dot a small amount of Vaseline along your elbows, knees, armpits, and ankles pre-tanning to prevent over-absorption in those areas. Smooth Jergens Firming Moisturiser on evenly and thoroughly just as you would with any daily moisturiser. Rinse excess residue from the palms of hands, between fingers and around nails. Allow several minutes to dry before you dress and avoid getting wet for at least 3 hours after application. Thanks Christina, I absolutely love it! My skin colour looks natural, like I’ve been away on a summer holiday! Im loving the moisturiser! 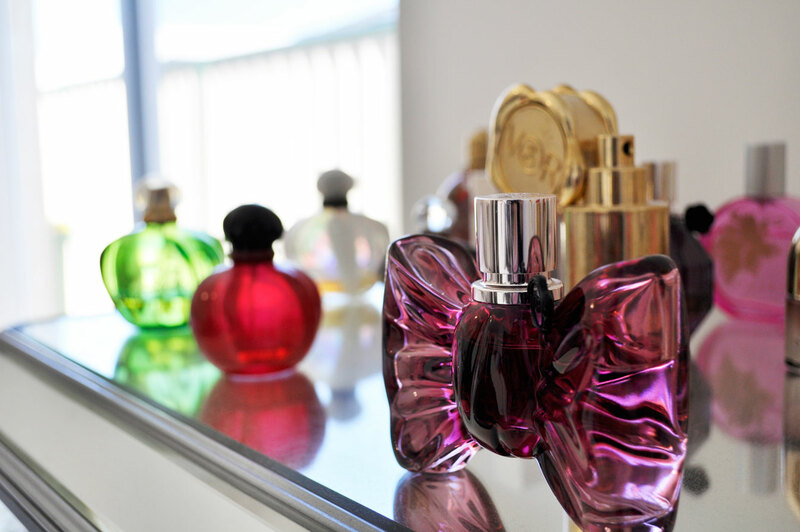 It is so lovely and hydrating but gives such a nice glow! Great tips. I always stuff up my tan so need all the help I can. Need to try this out ASAP! Yes I definitely recommend rubbing vaseline into those areas… I’ve made that mistake and now have permanently patchy knees! I haven’t made the same mistake twice..